He was born in Tottori. His stories deal with universal themes as the beauty of nature, devotion to family, and/or return to childhood. Domo arigatou gozaimasu Jiro Taniguchi-sensei. Hope you found peace. I hope he was able to meet his beloved dog again. You kept me company during high school, on those cold days. Sitting alone and enjoying your works. Haruka na Machi e was a manga that resonated with me on a deep level. Hope you are resting in peace. 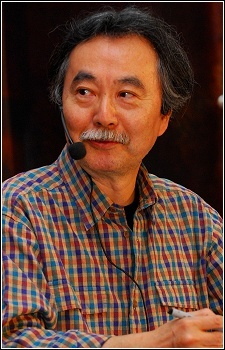 You'll never be forgotten Taniguchi-sensei.